Bringing the retreat to your life.. Reconnect – Reignite – Reveal. Do you feel you need to retreat from every day life? Are you truly living, or just surviving? Do you feel disempowered, lack fun and creativity in your life? Are you looking for something different to enhance your life? Let us bring the retreat experience to YOUR life and Reveal the TRUE YOU. The Retreat to your life Transformation package is designed to take the need, time and expense of escaping from your life in order to gain clarity, insight and perspective on your life, completely out of the equation. It will assist and keep you accountable to incorporating those components into your everyday life instead! You will have the opportunity to RESTORE balance in your life, and RECONNECT with your body, mind and spirit. Your passion for life will BE REIGNITED! YOU WILL HAVE the time to work on your health, energy and your own goals, learn and practice how to transform your life to create this balance and make it a WAY OF LIFE! 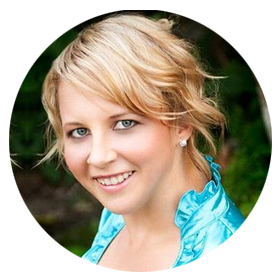 You will be working with Kylie who is an expert in her field and is passionate and committed to REVEALING the WHOLE-istic NEW YOU. 21 Weeks to a WHOLE-istic NEW YOU! A journey of self-discovery and tools that you will use for the rest of your life. IN this program you will firstly have the opportunity to have YOUR VERY OWN Intuitive discovery session with Kylie, who is a qualified Psychic/ Medium/ Angel Intuitive as well as Intuitive Life Coach. In this session she will give you clarity and guidance on your life purpose/ love / health. She will also explore YOUR mind and spirit connection and how that is effecting YOUR LIFE through existing life patterns and emotional blocks that still need to be transformed. Then you will have an Intuitive Life coaching session with Kylie to create YOUR individual goals and design a plan of action to transform you and your life. This program will be personalised and take into account those destructive patterns that have been blocking you and distracting you from your path, and alignment with your True Life Purpose.You will also have some measurements and an initial photo taken, so you can see the transformation on all levels at the end of the program. In week two you will have an Intuitive Life coaching session with Kylie to create YOUR individual goals and design a plan of action to transform you and your life. This program will be personalised and take into account those destructive patterns that have been blocking you and distracting you from your path, and alignment with your True Life Purpose. You will also have some measurements and an initial photo taken, so you can see the transformation on all levels at the end of the program. From then on you will go on a journey of self discovery with Kylie who will meet or skype with you every fortnight for an Intuitive Life Coaching Session and provide you with unlimited support via email and txt in between. You will be guided to take consistent actions and be kept accountable to producing amazing results in all life areas including Health/ Love/ Life Purpose and many more. You will experience literally a total life makeover with Kylie, and her transformation program that will produce a whole-istic NEW YOU that incorporates mind, body and spirit. Together we will reflect and celebrate the journey to the NEW YOU. This will be an opportunity to celebrate your WINS with Kylie. You will feel truly acknowledged and recognized for your efforts in this Life Transformation Program and be able to reflect on the journey to the whole-istic NEW YOU and feel completely confident moving forward! PLUS A WHOLE LOT MORE OPTIONAL EXTRAS!!! Kylie was born a very unique and gifted Leader. She was raised on a farm in Northern N.S.W where she fell in love with the simple life. She has an unsurpassable zest and passion for life and has always believed that the true essence of life comes from the ability to take responsibility, self reflect and transform ones self, constantly growing and evolving and truly loving yourself and others. She fell in love with personal development, health and Natural therapies and holistic healing at a very young age. She also grew up with an amazing Intuitive ability as well an Innate passion and holistic healing gift that incorporates mind, body, spirit. With a background in Nursing and her own Personal experience she has built on her knowledge and experience and become a leader in her field as an Intuitive life coach and holistic healer. She has already transformed many lives and continues to align herself with her purpose and fulfills on this commitment to contribute to others growth and evolution every day. Kylie is able to see you from the inside out and assist you to breakthrough whatever is standing in the way of you being the WHOLE-isitic true you. The YOU that you have always known was there, but is still waiting to be revealed. She is also a speaker and holds workshops and shares her holistic wealth of information and expertise. She is able to connect with you on a deep emotional and spiritual level and transform you both inside and out to reveal the true you! Kylie’s infectious smile and unconditional love of people and her commitment to you experiencing true love in your life makes her your most valuable asset… the only question is are you ready to have her work her magic on your life so you can fall in love with yourself and your life again?? Can You Imagine feeling like you are having the experience of being on a retreat for 21 weeks of your life?! Can you see the value in being able to incorporate the retreat experience into your everyday LIFE, instead of only one week? Have you ever suffered the post holiday blues, and had the experience of falling in love with yourself and your life, and get clarity on your dreams whilst away?……only to come home and feel like YOU had never left only hours sometimes minutes after getting back home to the everyday grind. Well this experience bypasses that because you learn how to balance your life and incorporate the retreat experience into YOUR LIFE. Also most retreats cost anywhere from $5000- $10 000 for only one week of your life and then YOU have the stress of getting back home and having to work extra hours to pay off your credit card for all the optional extras you decided to do when you had the chance. To take the stress out completely we have also made this an affordable “retreat experience”. 20 weekly payments of $120 + upfront payment of $500 (prior to commencement).